My name is Orland Foster, and I am raising money for my friends in Bangladesh, Asit and Shilpey Gain. This couple has tirelessly worked to minister to the people of their country for over 11 years. It is a very dangerous time to be a Christian in Bangladesh. Of the 160 Million + people in Bangladesh, 92% are Muslim, 7% are Hindus, 0.97% are various tribal religions and 0.03 % are Christians. As ambassadors for Christ, this lovely family has dedicated their lives to providing the people of their nation with the hope of the Gospel of Jesus Christ. At this time they feel the need to provide food and education to 50 of the children they minister to in the Asian outback country. The cost for food is $15 per child, per month and the costs to provide for education is $8 per child, per month. Our goal is a total of $1,150 per month to provide food and education for 50 of the poorest children on our planet. 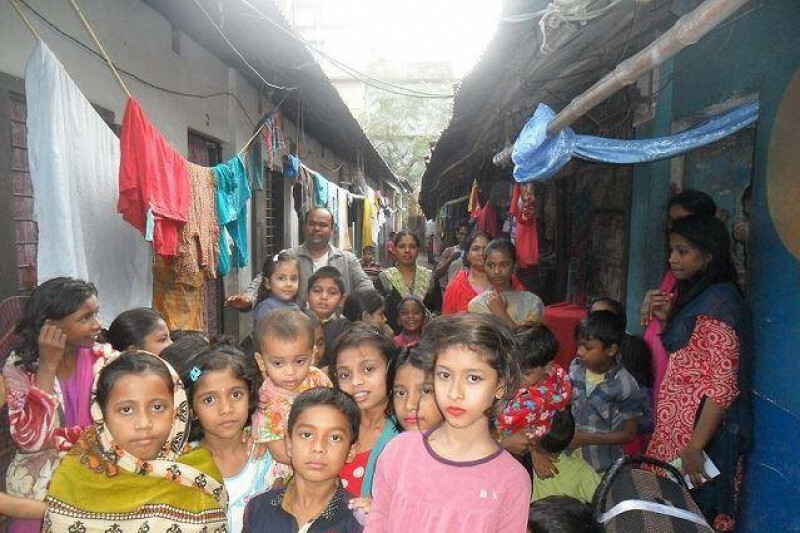 Would you join me in supporting this wonderful ministry to the needy of Bangladesh? All monies raised will go directly to Asit and Shilpey to support their work. .. we are working on an updated campaign..
One of the places that Asit ministers to, in the Hill country, has grown enough to build a church/house building. 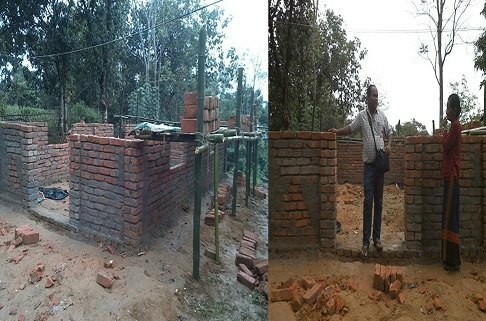 On Asit's recent visit, he took pictures of the progress.